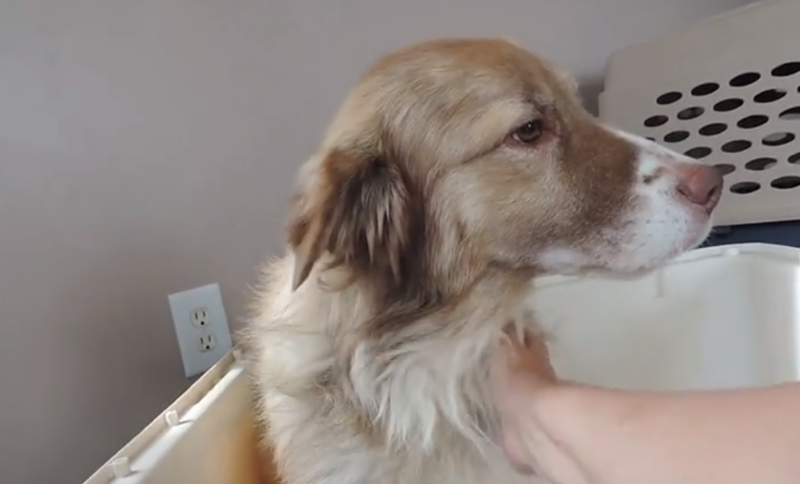 Woman Films Emotional Moment Rescue Dog Learns To Love Human Touch. After living in a hoarding situation, Bernard found a safe place at the local animal shelter. 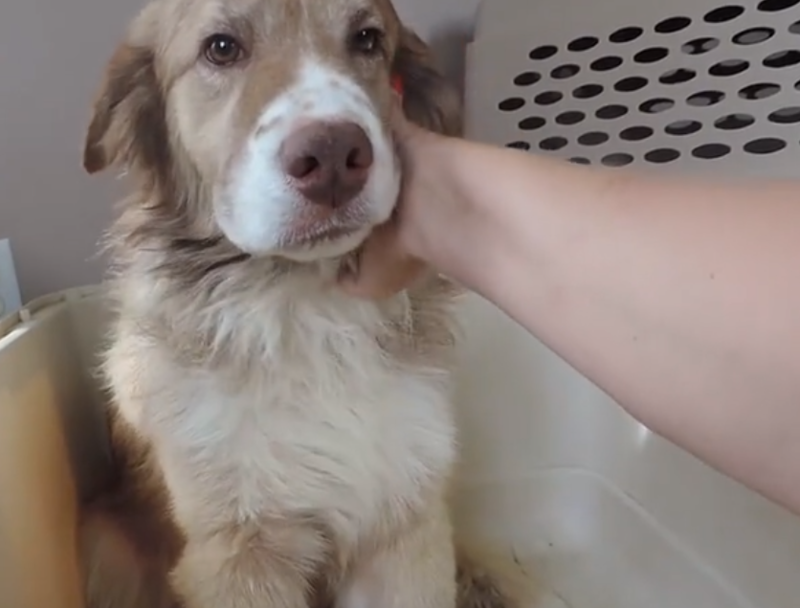 He was used to a life of pens and hunger, trapped in small spaces with a lot of other dogs. It’s a very different world from your warm and inviting home. The Dogs Deserve Better rehab center in Smithfield, VA, tries to help animals who are stuck in these circumstances. Some animals that come in are caked in mud, with tears and eye goop dried in their eyes. 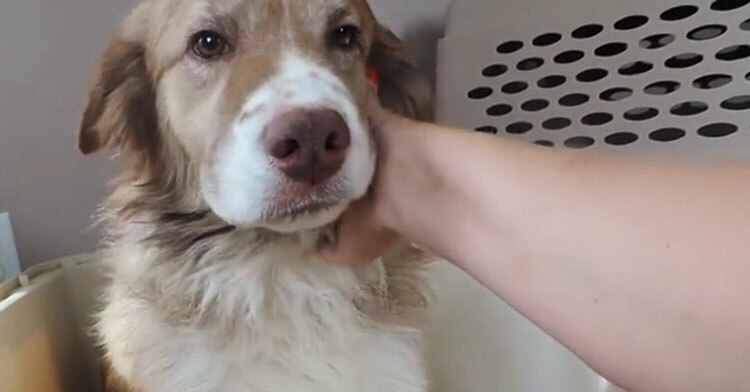 They try their best to bring these animals back up to full health and erase some of the painful memories they’ve experienced with humans in the past. That’s how Bernard came to be with the woman in the video below. Bernard is a puppy once thought to be unfit to live with humans due to the past abuse he suffered. On the day this volunteer met Bernard, she was told that it would be a difficult day for her as she helped him feel comfortable with humans. When they first met, Bernard was cowering in the corner, and wouldn’t even look up at the volunteer. He began whimpering and instead of pulling him out of his kennel by the leash, she came up with a different idea. She pulled the top off of Bernard’s kennel so she could interact with him from above. This way, he wouldn’t have any more stress from being moved around. Bernard immediately jumped out of the crate. The volunteer tried to make him feel safe by slowly approaching him with her hand out. For the next 45 minutes, Bernard would be loved on by the volunteer and experienced his first moments of human touch. This is only the first stage of Bernard’s recovery process, but it is a beautiful one. 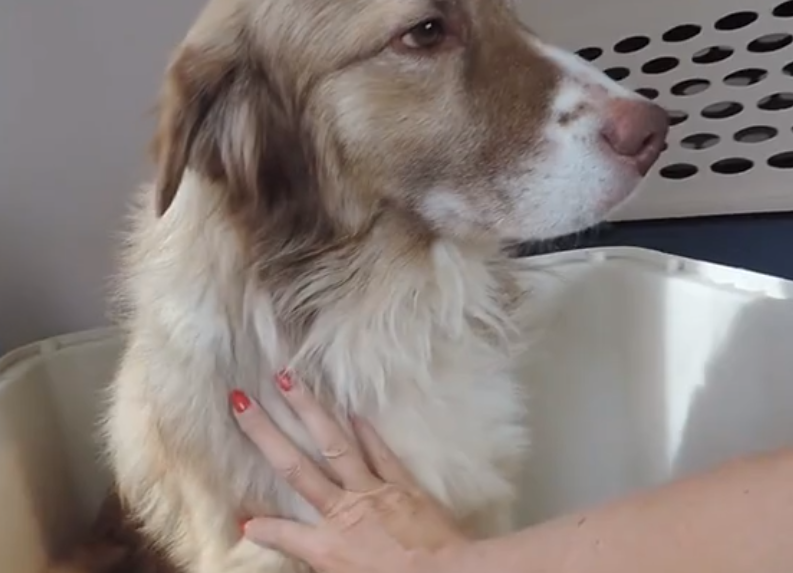 Watch the video below, and share this touching post with all of the other dog lovers in your life.